"Unimpeachably terrific." --"The New York Times Book Review"
One of "CBS This Morning"'s 6 "Must-Have Titles for Your Summer Reading List"
The publishing phenomenon topping bestseller lists around the world, with sales of more than two million copies in Europe and rights sold in more than forty countries, "The Truth About the Harry Quebert Affair" is a fast-paced, tightly plotted, cinematic literary thriller, and an ingenious book within a book, by a dazzling young writer. Joel Dicker was born in 1985 in Geneva, Switzerland, where he later studied law. He spent childhood summers in New England, particularly in Stonington and Bar Harbor, Maine. 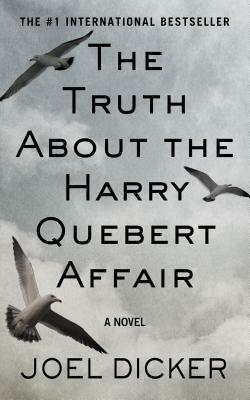 "The Truth About the Harry Quebert Affair "won three French literary prizes, including the Grand Prix du Roman from the Academie Francaise, and was a finalist for the Prix Goncourt. It has sold more than two million copies across Europe. Dicker lives in Geneva.